Twitter today announced on its blog that it has suspended UberTwitter and twidroyd for violating its API policies which include issues with Direct Messages longer that 140 characters among other problems. Users of both third party apps woke up this morning unable to log into Twitter due to the suspension. After a large public outcry on—where else?—Twitter (both UberTwitter and Twidroyd have become trending topics), the company released a statement explaining why it decided to shut the apps down until they decide to comply. Read it below. We ask all developers in the Twitter ecosystem to abide by a simple set of rules that are in the interests of our users, as well as the health and vitality of the platform as a whole. Today we suspended several applications, including UberTwitter, twidroyd and UberCurrent, which have violated Twitter policies and trademarks in a variety of ways. These violations include, but aren&apos;t limited to, a privacy issue with private Direct Messages longer than 140 characters, trademark infringement, and changing the content of users&apos; Tweets in order to make money. 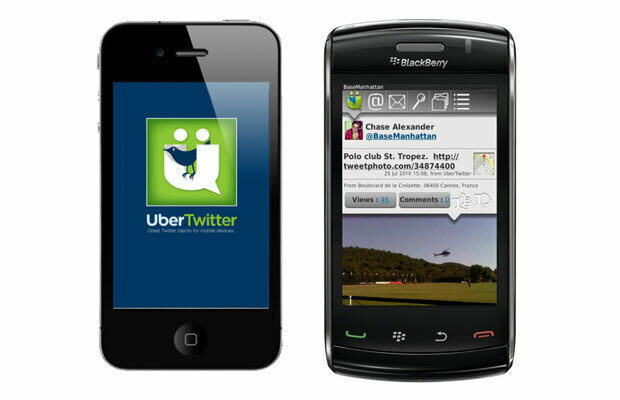 We&apos;ve had conversations with UberMedia, the developer of these applications, about policy violations since April 2010, when they first launched under the name TweetUp – a term commonly used by Twitter users and a trademark violation. We continue to be in contact with UberMedia and hope that they will bring the suspended applications into compliance with our policies soon. As of now there are no fixes or work-arounds for users of the apps, but we&apos;re sure the companies will work something out as UberTwitter is one of the most popular Twitter apps available. If not, well, there&apos;s always the Twitter app.